People always second glance at the mouse. It's light, small, and fits my grip style. Alternating between claw and fingertip, I can't stand anything even the size of a Logitech standard wireless mouse, let alone a Deathadder or Mad Catz. Typically set on 4200 DPI, with a 1200 setting for First Person Shooters. Got it as a gift. Usually I don't care about peripherals but after using it for few days now I got spoiled by how responsive it is compared to standard mouse but it's not as durable as I expected, after 1 year of use, the left click and scroll click sometimes registered as 2 clicks when I press and hold on those buttons. Only blue LED. Just bought this the other day, because the mouse that came with the keyboard is the sh***tiest mouse in the world. This one looks good, and although it is designed for MOBA games, (I play FPS) it does the job well. 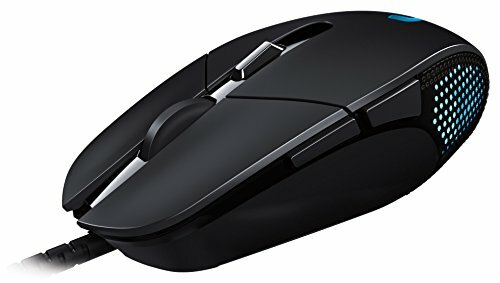 Fantastic mouse for the price and performance, the sensor is great. NOTE: The right click began double clicking so I upgraded to the Logitech G403 wired version and it's been very good. Cheap mouse, but I didnt pay much for it. Works great for FPS even though its a Moba marketed device. Two extra mouse buttons on the left of the mouse make for easy overwatch bindings of abilities and there is a DPI switch below the mouse wheel. Note: No RGB only blue LED with breathing options or static options for side and logo. 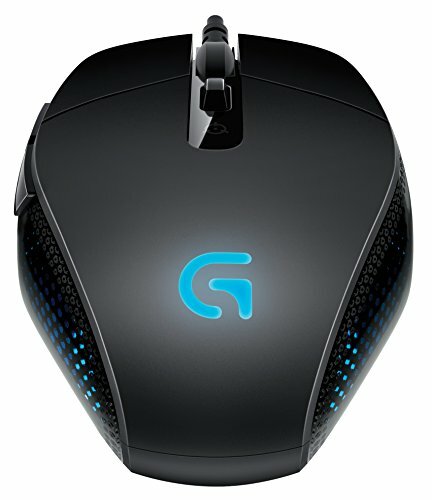 I love this mouse, very cheap but very good gaming performance. Can't complain! Absolutely awesome mouse and so affordable. I've considered upgrading but honestly its not worth the waste of money. It does the job and looks great with the blue LED's. The Logitech gaming software is nice, especially when you have more than one Logitech peripheral. Awesome, I will just like RGB feature. I didn't know how to turn the breathing effect off for the longest time until I downloaded their software. I got this mouse from my brother.